Hotel wireless solutions must employ the highest level of security features in order to protect a hotel’s data and their guest’s data. Unsecured and secured networks with weak security can put confidential information at risk. They can spread viruses and malicious software to unsuspecting users. While many times these intrusions may seem to be nothing more than a nuisance, the more effective the hacker, the greater the damage to a hotel’s data, and to the hotel’s reputation. More and more guests are demanding access to hotel internet services. Hackers are aware of the increasing number of hotel WiFi networks. They are exploiting unsecured wireless connections to gain access to guest’s computers, and guest’s financial information on hospitality networks. According to the 2012 Global Security Report from Trustwave, a data security firm, the hospitality industry has the third highest number of data breach investigations. They identified the causes as a combination of poor security practices and known point-of-sale system flaws that expose credit card information. These common weaknesses make hotels an attractive target for hackers. The tendency for hotel franchises to use the same software and hardware at all locations also makes it easier for hackers to deploy their attacks at multiple hotels once they obtain access to one location’s network. The problem has become so severe that Internet Crime Complaint Center (IC3) recently issued an unprecedented security alert for international travelers. They made the alert public based on information about an increasing number of international travelers becoming the target of hackers taking advantage of poor hotel network security. These attacks were highly successful because they took advantage of both the lax security and a software feature that computer users are familiar with, the software update. The hackers used software update prompts to install malicious software on guest laptops. When the hotel guests received a notice to update their laptop software, they thought that they were downloading legitimate software, but instead they downloaded the hacker’s software. While most of these attacks have occurred overseas where hackers have much more freedom to operate, they have also happened inside the United States. The increasing number of security threats and the sophisticated methods used by hackers is making security features an overriding factor in the hotel wireless solution decision-making process. While there are many factors to consider before purchasing hotel wireless solutions such as cost and other network features, security has to be a part of each product evaluation. What good is it to guests to have access to your hotel WiFi if their data is compromised in the process, or worse yet, visiting at a hotel that unknowingly puts their credit card information into the hands of hackers? 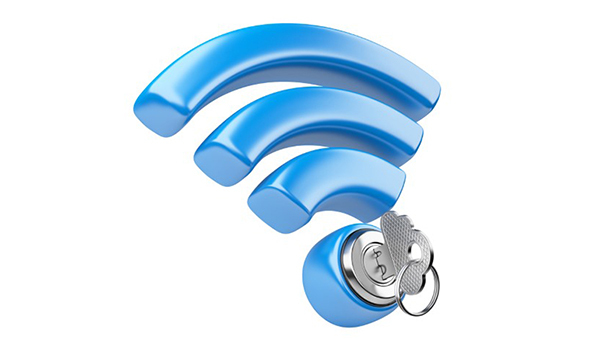 Hotels must take a proactive approach to data security and educate themselves about their WiFi security vulnerabilities. One way to do this is for hotels to evaluate existing networks. A thorough review of the security protocols and capabilities can prevent intrusions before they happen. Even when networks are using security best practices, it may be worthwhile to have a monitoring service to detect possible data breaches.